Andratx is a traditional village of Majorca, with narrow streets and old stone houses. The city remained sheltered from the tourist development of the coast has few attractions. The most important buildings are clinging to the slopes of the hill, amid steep terrain that dominates the Puig des Galatzó (altitude 1026 m). The northern part of the municipality is mountainous and hilly, and almost uninhabited. 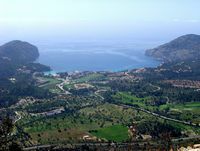 South of the town of Andratx, there are a number of valleys, where four villages that are part of the municipality of Port d’Andratx, S’Arracó, Sant Elm and Es Camp de Mar. 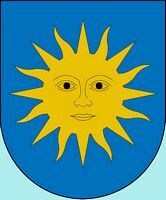 The origin of the name Andratx is unknown, according to the authors, there are four assumptions: Celtic, Arabic, Latin and Catalan. In Castilian Spanish, Andratx is called Andrach or Andraitx. Andratx is located at the southwest end of the Tramuntana mountain range on the island of Mallorca. As often in Majorca, the town is at the interior, away from the attacks of the Barbary pirates. 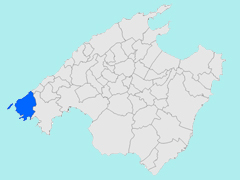 Its port, Port d’Andratx, located 4 km south-west. The municipality of Andratx occupies the westernmost of Majorca, where the peaks of the Serra de Tramuntana are lower end, the highlight of the town is the Mount of the Mola de l’Esclop (927 m), popularly called " Sa Madonna " because of its shape, which resembles a woman lying with hands on chest. Andratx is about thirty kilometers from Palma. 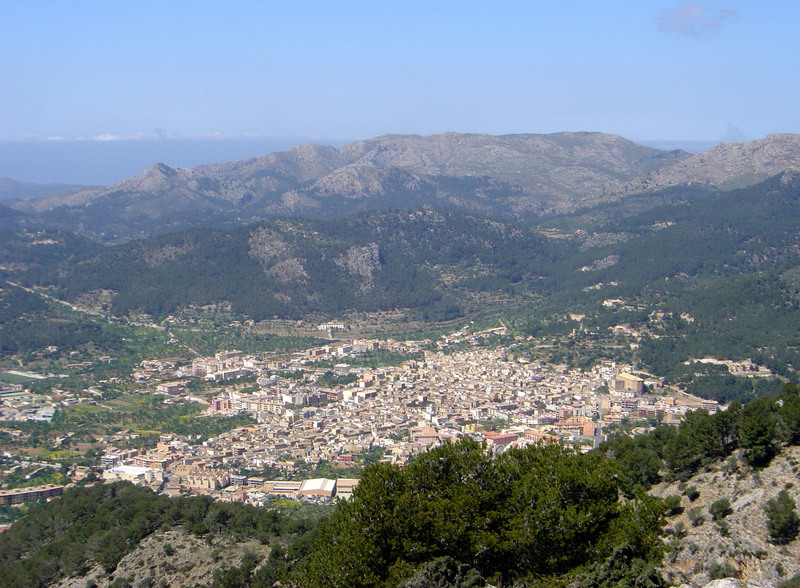 The town of Andratx is part of the county of the Serra de Tramuntana. To the west there is the town of Calvià, on the north-east, that of Estellencs. The imposing parish church of St. Mary was built in the eighteenth century on the site of an earlier church from 1248. This fortified church has high walls pierced only square at the top of the side walls skylights. The facade is simple, devoid of decoration, no particular sculpture, a bull’s-eye overcomes the gate pointed arch. 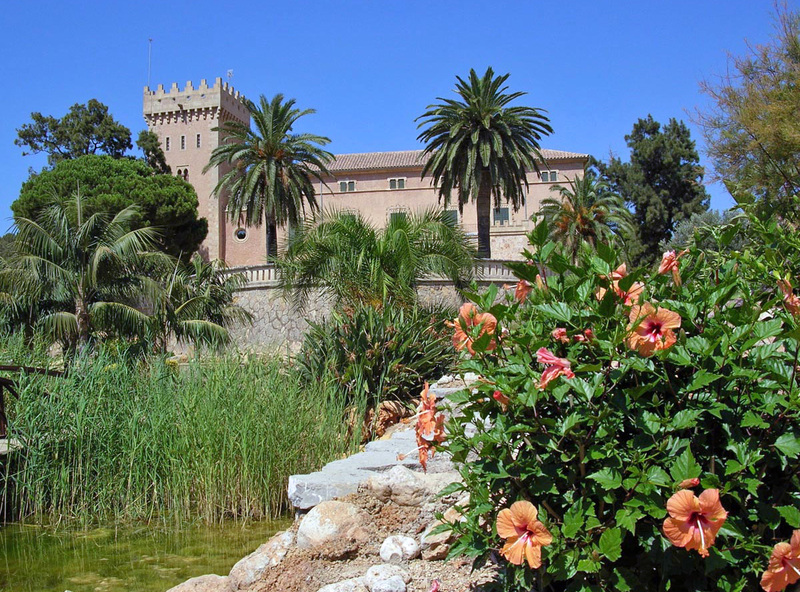 The Castell de Son Mas is an elegant fortified palace of the sixteenth century, with a tower and Renaissance decorations. The area around the monastery are a bird protection area. There are almost no hotels in Andratx, there are many more choices in Port d’Andratx, a few kilometers away.